Why would I need self storage in Manchester, NH? There are a variety of reasons why you might need self-storage in Manchester, NH. How much is a storage unit in Manchester, NH? The cheapest storage unit in Manchester, NH is $65.00 per month. What size storage units do you have available in Manchester, NH? In Manchester, NH we have sizes that range from 5'x10' to 10'x20' to suit your storage needs. How much is it for a 5'x10' storage unit in Manchester, NH? The cheapest 5'x10' storage unit in Manchester, NH is $65.00 per month. Manchester is a large city in southern New Hampshire and is one of the most populous cities in both the state and the northern New England region. It's a conveniently located city, close to several major highways, and Boston is about 58 miles away. Despite the fact that it's not the state capital, Manchester is still home to many of New Hampshire's most notable cultural attractions. Like many cities in New England, Manchester has a long and interesting history. The area began as a farming community early in the 18th century. Back then, it was known as Derryfield, but the name eventually changed because a prominent businessman, Samuel Blodget, wanted the city to be like Manchester, England, the world's first industrialized city. He created a canal and lock system to make it easier to pass through the nearby Amoskeag Falls, and other industrial developments soon followed, like a water-powered cotton spinning mill. In 1846, Manchester was incorporated as a city. By that time, it was the site of the world's largest cotton mill, containing 4,000 looms. Other major products of the city included sewing machines, rifles, fire engines, locomotives and textile machinery. Samuel Blodget's vision of an East Coast hub of industry had come to fruition, and Manchester continued to grow and evolve as a major powerhouse of New England. Although Manchester was a textile-based economy up until about 40 years ago, it's now evolved into a thriving retail hub. Because there is no sales tax in New Hampshire, there is a thriving retail infrastructure. Shoppers flock from Massachusetts and other nearby places to buy a variety of goods, creating many job opportunities in the retail industry. The Mall of New Hampshire, Manchester's downtown district and several other commercial developments help fuel the city's economy. In addition to a thriving economy, Manchester also offers plenty of options for entertainment. The downtown area is easy to walk around, and you'll find plenty to keep you busy there, including shopping, dining and cultural attractions. The SNHU arena is host to the Manchester Monarchs ice hockey team, as well as concerts, theatrical productions and fairs. Other Manchester landmarks include the Currier Museum of Art, the historical Palace Theatre, the SEE Science Center and the New Hampshire Institute of Art. The Manchester School District operates the public schools in the city. It has the largest and oldest school district in New Hampshire. You can also find several private schools in Manchester, including parochial, secular and special education campuses. A number of colleges and universities in and around Manchester provide plenty of options if you're considering pursuing your degree. Franklin Pierce University, Granite State College and Manchester Community College are just a few of the campuses in the city. Utilities: Manchester's primary electricity provider is Eversource. The Manchester Water Works manages water and sewer services. Garbage and Recycling: Most areas of Manchester receive weekly collection services for both trash and recyclables. Certain areas of the city (typically high-density housing areas) can expect more frequent collections. Transportation: The Manchester Transit Authority, or MTA, operates public bus routes through the city, as well as a free shuttle in certain areas. There are single-family homes, town houses and apartments available in Manchester, and it's widely known as one of the most affordable cities on the typically very expensive East Coast. Although the median home price in Manchester is above the national average, it's still very budget-friendly compared to many of its neighboring cities. Our lowest priced units in Manchester, NH average $65.00 per month. 69 people have reserved units in Manchester, NH in the past 30 days. 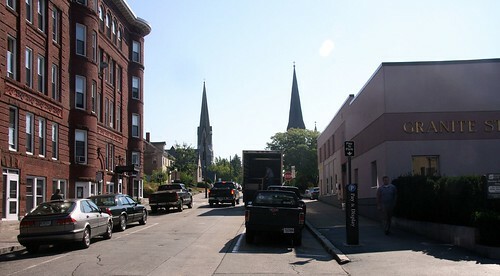 There is 1 location within Manchester, NH's city limits.